WASHINGTON — Phase Four Inc., a startup based in El Segundo, California, announced plans March 7 to conduct the first on-orbit demonstration of its plasma propulsion technology. The propulsion system will be tested in late 2017 on a Landmapper satellite built by Astro Digital, an Earth imaging and analysis company located at the NASA Ames Research Park, Moffett Field, California. 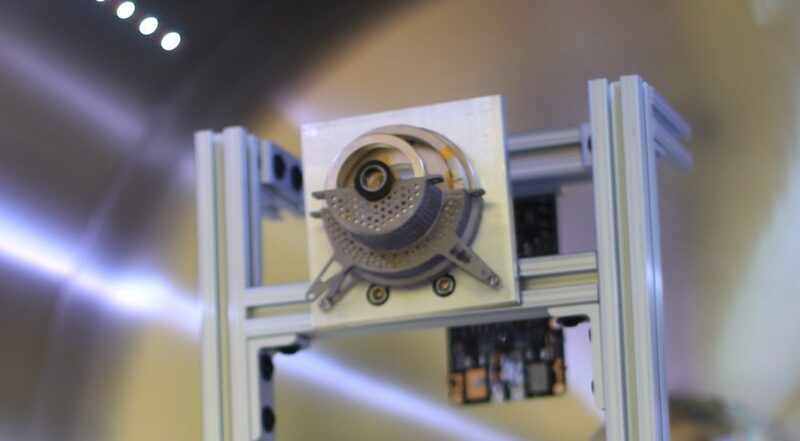 Small satellite and cubesat developers have few options when it comes to miniature propulsion systems, said Simon Halpern, Phase Four co-founder and chief executive. Phase Four’s propulsion management system offers customers a way to move spacecraft into their ideal orbits, remain in low Earth orbit for years longer than they could without onboard propulsion, and move out of orbit when their missions end, Halpern told SpaceNews, at the Satellite 2017 conference. Phase Four’s thruster is based on technology developed at the University of Michigan and licensed to the company. In 2015, Phase Four won a $1 million DARPA contract to design and build the thruster’s associated electronics and a space-qualified propellant management system. Halpern is eager for the on-orbit demonstration of the new propulsion system on a six-unit Landmapper cubesat, scheduled to launch in November on the SpaceX Falcon 9 rocket that Seattle-based Spaceflight purchased to send small satellites into sun synchronous orbit. “The point of this exercise is to get flight heritage,” Halpern said. Chris Biddy, Astro Digital co-founder and chief executive, said Phase Four’s propulsion will give Landmapper satellites an average of two years of additional time in orbit, which translates to an additional 120 billion square kilometers of Earth imagery.